Here's our collection of fun and easy cauliflower rice recipes. All the cauliflower rice recipes have step-by-step instructions. We hope you love them as much as we do! How to make crazy good keto fried rice that is just as good as Asian fried rice? This cauliflower rice recipe will show you how easy it is and that everybody can make it. So if you are looking for a low carb rice recipe this is definitely for you as it is such a great substitute for regular fried rice. 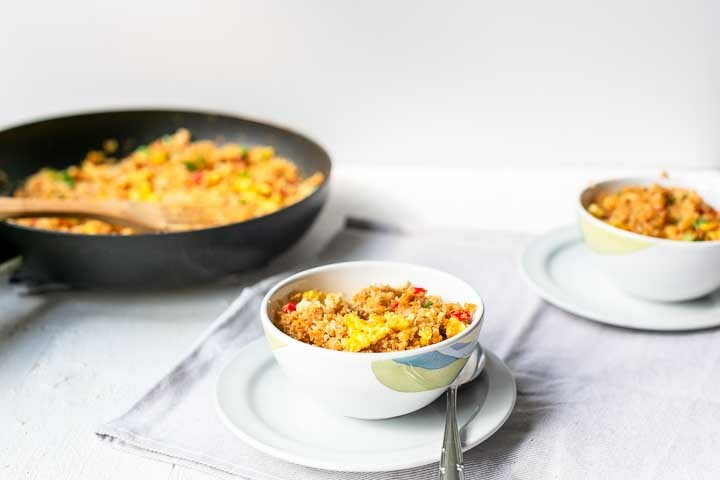 Are you ready to learn how to make crazy good keto fried rice? Lets get started!